Right in the heart of downtown, this route explores the major landmarks of Nashville and Country Music. It’s part dedicated path and part road. 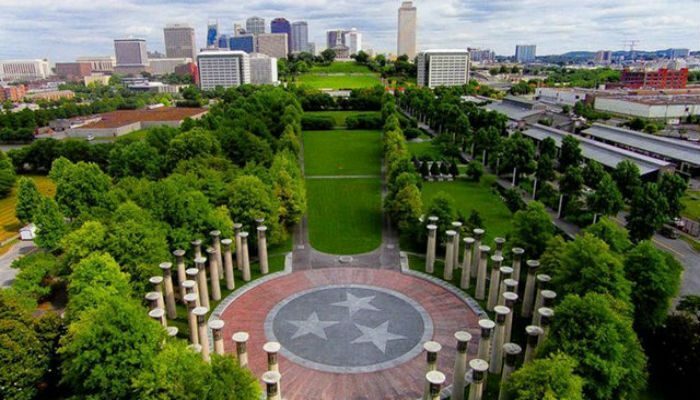 Starting at the Nashville Public Library, this route heads North around the state capitol to Bicentennial Capitol Mall in order to enjoy several beautiful fountains. From the Capitol Mall, take a left to join the Cumberland River Greenway. This path runs along the river and passes Fort Nashboro, a historic log stockade dating back to 1779. Take a Right onto Broadway and a quick Left on 3rd Ave S to pass the Johnny Cash Museum. 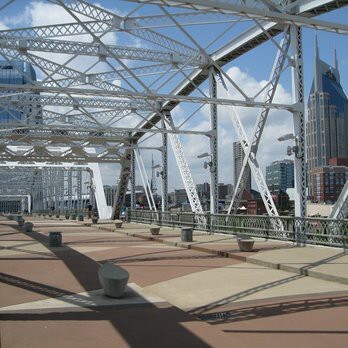 If choosing longer route, use the John Seigenthaler pedestrian bridge to cross the Cumberland River. Loop around Nissan Stadium, home to the Tennessee Titans, and join the East Bank Greenway. After you wind through Cumberland Park, retrace the route back over the pedestrian bridge. Once across the river stay straight on Symphony Pl. until you see the Nashville Music Garden and Music City Walk of Fame. 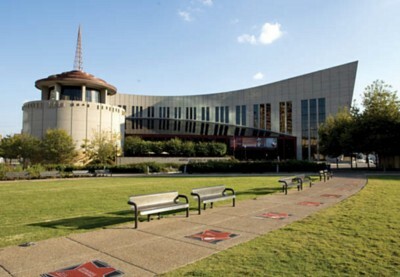 After you pass the Country Music Hall of Fame, take a Right onto 7th Ave S to return to the Nashville Public Library. This route is accessible to all downtown hotels and can be shortened to accommodate all levels. The shorter version of our route does not include the jaunt over to Nissan Stadium or the East Bank Greenway.